Among rocky mountains and spacious plateaus there is picturesque Utah. Its territory is full of attractions, unexpected contrasts and charm. There are always lots of tourists, some of whom fully devote their leisure to excursions, while others enjoy the splendor of nature. 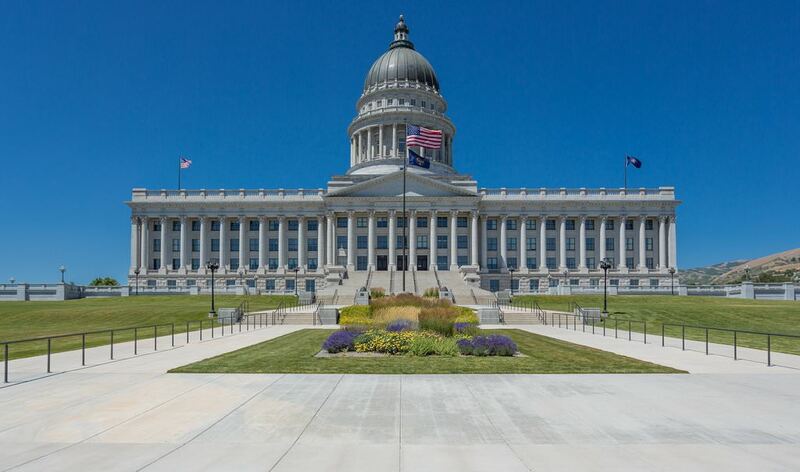 Salt Lake City is the capital of the state; the city is located next to one of the most famous natural attractions, Salt Lake. In the center of the capital there is the beautiful Salt Lake Temple built in the late 19th century. This religious landmark is one of the most important in the world. The building covers an area of 4 hectares; it is surrounded by the thick stone wall. As for other religious sites, it’s recommended to visit the Church History Museum. The great collection of historical documents, works of art and other artifacts telling about the history of the Mormons are kept there. 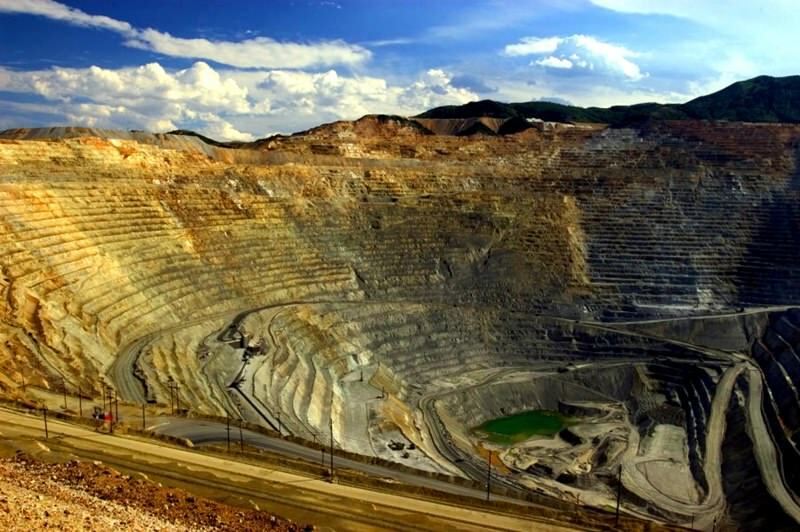 Salt Lake also attracts thousands of tourists; this attraction is included in the UNESCO World Heritage List. In the south-western part of the national park there is Bryce Canyon, which is a huge amphitheater of natural origin. Its formation lasted millions of years; this area is particularly impressive in winter. Those fond of history have to visit Wellsville mountain areas, where there are several major historical museums, as well as a real historical farm. This open-air museum has an area of about 130 hectares. Popular Snowbird - Three ski resorts are there too. Such a variety of landscapes, cities and resorts makes Utah an increasingly popular tourist region. Utah is a perfect region for active holidays. In summer, it is visited by fans of hiking tourism and cycling. There are also upscale riding centers on the territory of the state. In winter, there are excellent conditions for skiing. After the Olympic Games held in 2002, Salt Lake City has had a wonderful sports infrastructure. Golden Spike is a unique tourist district. It is just impossible to look over all the attractions in just one day. Travelers with children should visit the local amusement park. Near it, there are excellent sites for swimming and sunbathing on the shore of the Big Lake. In the district, there is the historical village of Gardner. Its visitors have an opportunity to learn about the natives’ way of living. Fans of history are offered to take a trip to the nearby district, Point Thanksgiving. Here, archaeologists have found valuable paleontological artifacts here. Now, you can take an excursion around the archaeological district. All the artifacts the archaeologists have found are stored in the local museum. 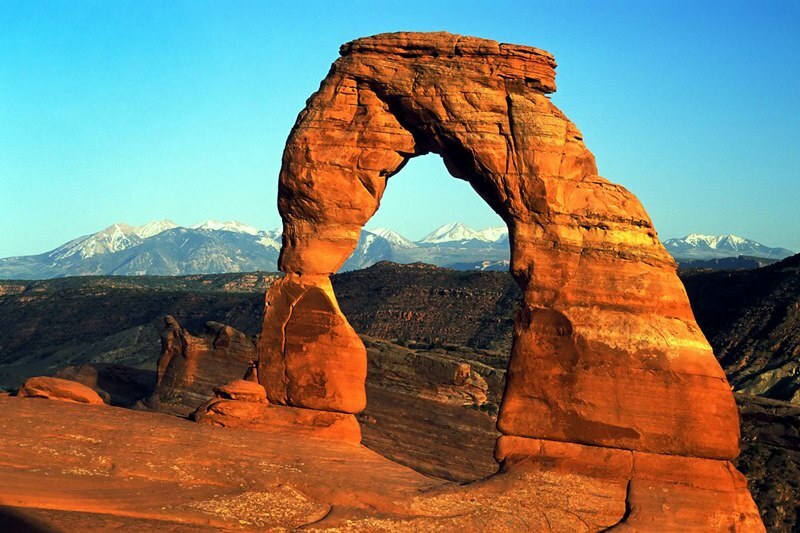 Utah is a real US leader in the number of national parks located on its territory. Every park has its own inimitable features. In the Zion Park, you can admire unique rocks. Some rocks resemble fabulous castles with their outlines. This natural park is distinguished by a diversity of natural landscapes. Here, you can walk along picturesque places and admire wonderful waterfalls and mountain rivers. The Zion Park is one of the “liveliest” in the USA. Over 70 special of mammals and over 280 bird species dwell here. The Capital Reef Park attracts travelers with its colorful rocks and gorges. Due to the high content of iron, manganese, and other minerals, the soil is colored in different shades of orange and red. The geological formations look very spectacular and change their color depending on the lighting at different times of the day. In the Nature Bridge Park, you can see incredibly beautiful canyons and natural bridges that are officially recognized as some of the most spectacular in the world. This guide to iconic landmarks and sights of Utah is protected by the copyright law. You can re-publish this content with mandatory attribution: direct and active hyperlink to www.orangesmile.com. Check on the map: Distance from Utah center - 160.9 km. Check on the map: Distance from Utah center - 151.9 km. All about Utah, USA - sightseeings, attractions, touristic spots, architecture, history, culture and cuisine. Prepare your trip together with OrangeSmile.com - find out the 'must see' things in Utah, which places to visit, which excursions to take, where the breathtaking views are waiting for you. 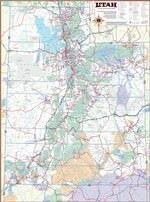 Planning your trip with this travel guide will help your to get the most out of Utah in few days.